The Town Foundation has been benefitting people in the local community through its variety of disabled programmes. In mid-February the Town Foundation visited Ravenshall School in Ravensthorpe to deliver lessons to students as part of ‘Day with a Difference’. The ‘Collapsed Curriculum’ day is designed to inspire and motivate pupils in school through active learning. The session saw teams of pupils compete to manoeuvre through a series of gates in a time trial whilst using equipment to pass and move through the course. The exercise provoked decision making by allowing the students to decide whether to stick with their current piece of equipment for the circuit, or to change to something different in order to minimise the time taken and beat their competition. Stephen Garside, a teacher at the school, thanked the coaches for coming and said they did a ‘really good job’, particularly with the tricky weather conditions. The excellent work at the Town Foundation continued into March with coaches providing an amazing stadium tour experience to a group of 11 from their sessions at Branches and Castle Hall. From the access-all-areas tour, the members were able to learn all about Huddersfield Town’s rich history and experience all elements of the ground. The group were able to follow the path of the Town players, moving from the dressing room, down the tunnel and out on to the touchline, a truly memorable moment for everyone involved. Additionally to seeing behind-the-scenes near the tunnel, the group also headed to the suites around the John Smith’s Stadium including the Premier Lounge and Heritage Suite, seeing where sponsors sit during games, and the amazing views from the hospitality boxes. Finally, the group moved down a floor to visit the trophy and memorabilia cabinets and even had the chance to have photos with the silverware. 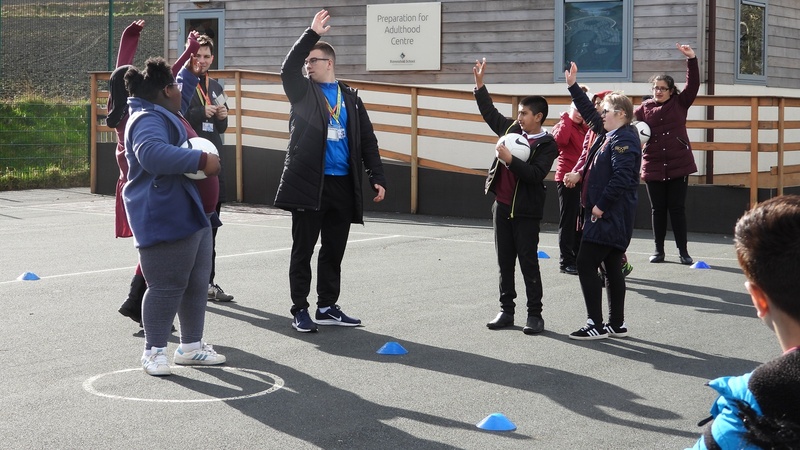 On Sunday 24 March, the Huddersfield Town Foundation provided a brilliant opportunity for players from the Central Stars sessions and Mental Health sessions to partake in the West Riding Ability Counts League. Despite it being the first time the seven players played together, they gelled fantastically, winning two games against Oakwell Terriers (3-0) and Bradford DFC A (2-0), drawing two against Creative Minds (1-1) and Pontefract Pirates A (0-0), and losing just once against Danby A (2-0). Isaac Keighley, Disability Coordinator for the Town Foundation said: “It’s great to be able to bring different and new players to these fixtures and them be able to perform so highly and like a team who have been together for months. The Town Foundation’s next game in the league is in April, when there will no doubt be even more players fighting to take part.